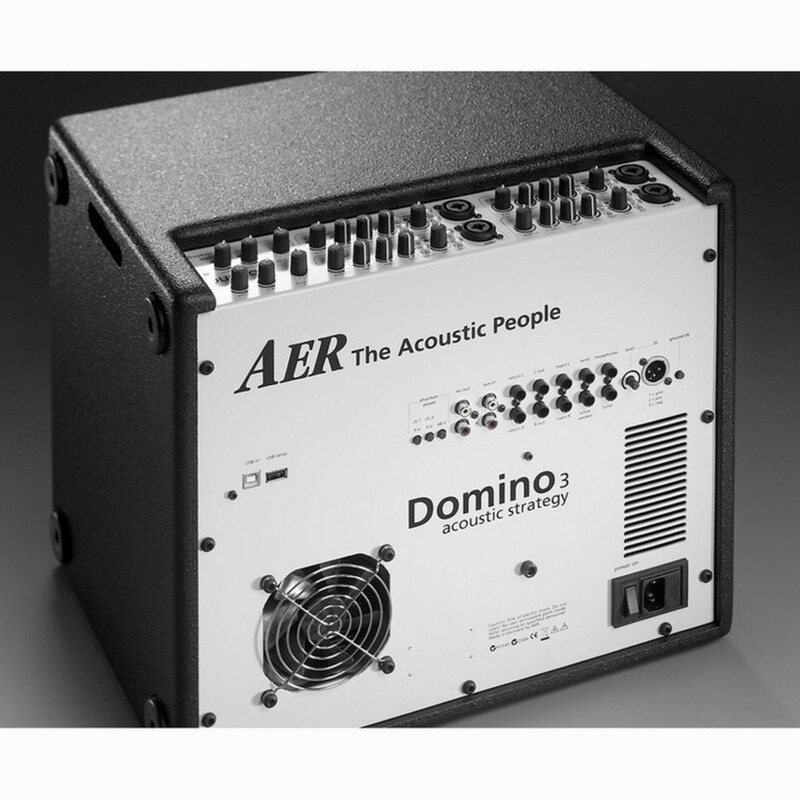 The AER Domino 3 Amp consists of two AER Compact amplifiers pushing 100 watts each in stereo into 8" twin cone speakers and "mini PA" capable with four input channels. All this in a single enclosure weighing only 35 lbs. What was supposed to be an update turned into a different class! 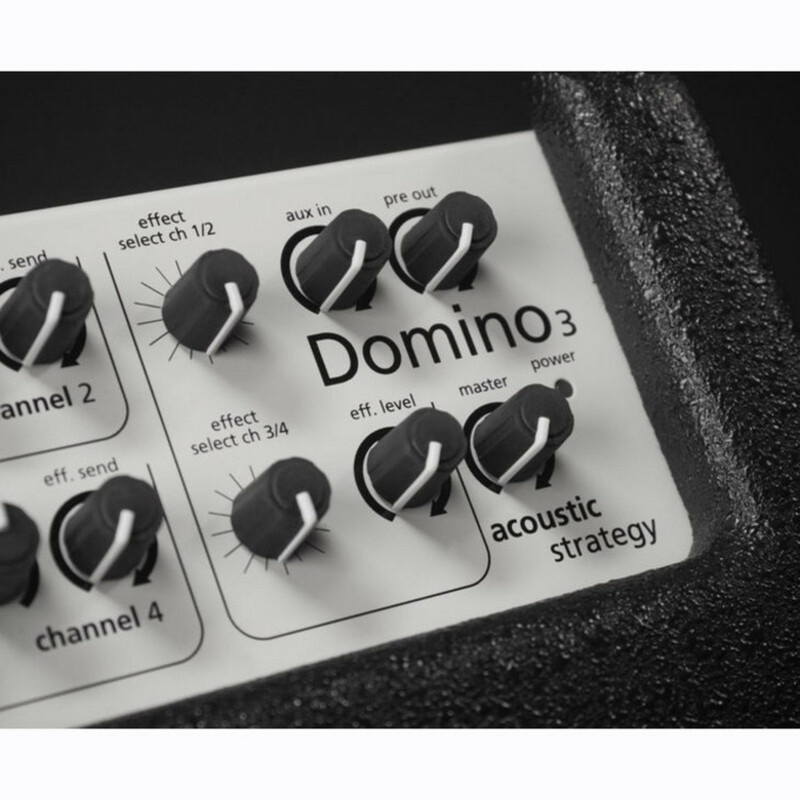 The Domino 3, now really stereo, with two twin cone speakers and high performance poweramps. Two independend effect units, with 16 presets each, separately address pairs of the four equally equipped channels (1, 2 and 3, 4). A little software tool (Windows) connects your laptop with the amp to modify effect parameters and create and save your own effects. Like other amplifiers in the AER line, the AER Domino voicing is neutral and transparent, without exaggerated frequency boosts. It works equally well with magnetic pickups and bridge mounted systems, plus with microphones. 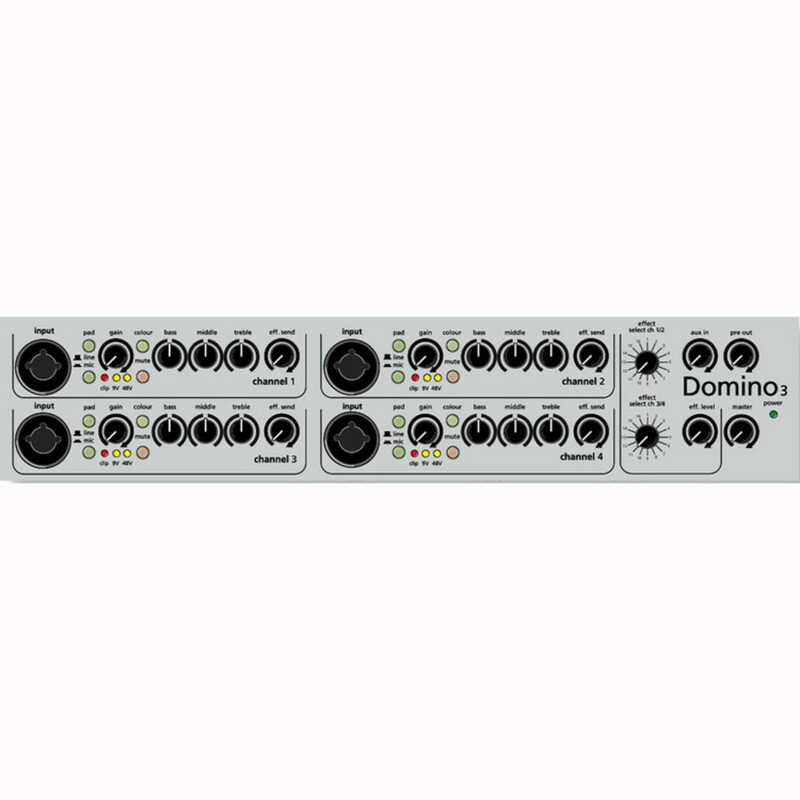 The Domino 3 includes AER's 32-bit effects processor with 16 presets addressable by each channel through individual effects-sends. 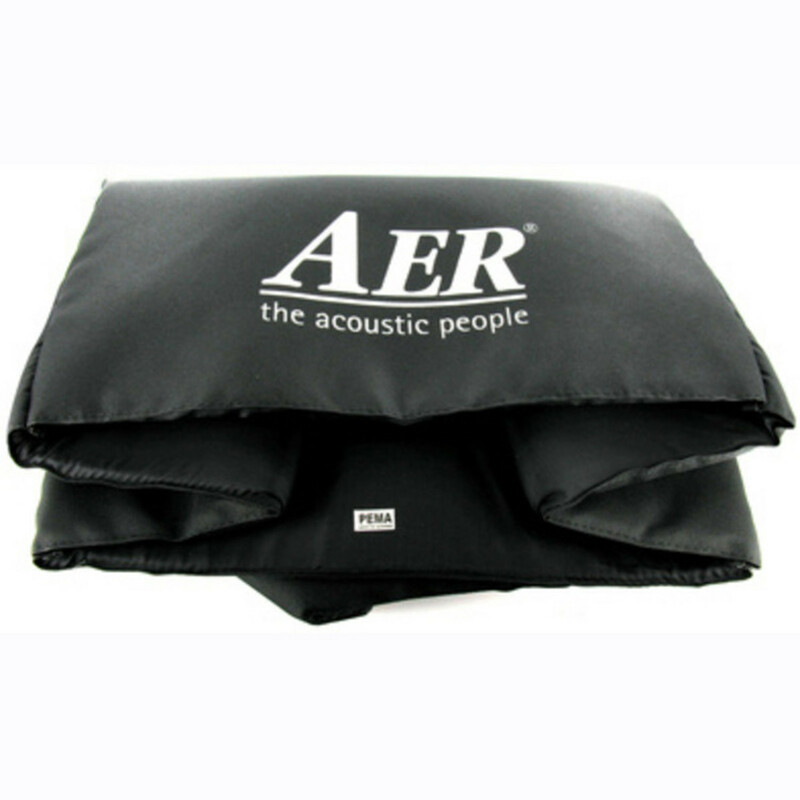 This delivers a variety of effects suitable for both instruments and voice. The effect presets can be managed by PC software included with the amplifier. Left and right "outs" in combination with the "pre" Master out allow use of separate active speaker systems and a way to extend the Domino to a PA or recording board. 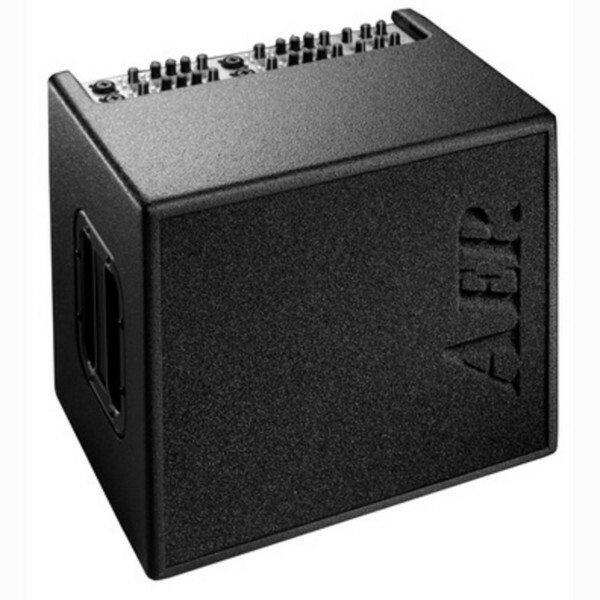 To read the full specifications for the AER Domino 3 Amp please download the PDF below.